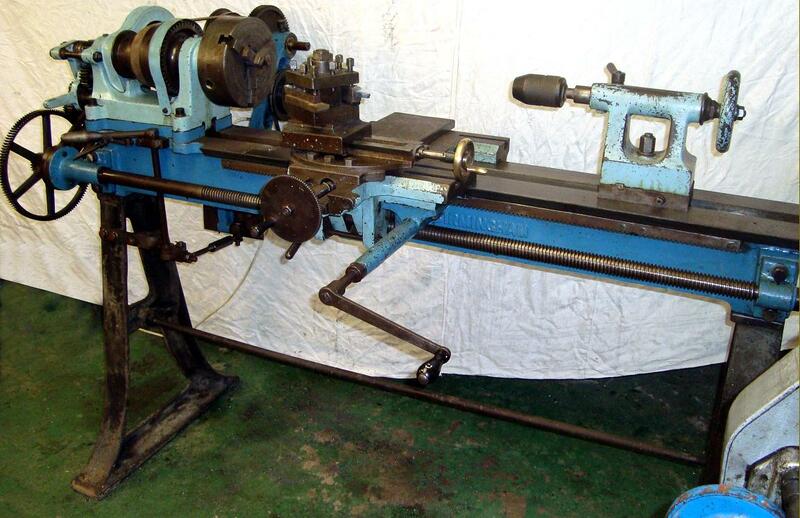 Built in far fewer numbers than their milling machines and drills, lathes by James Archdale are very rare with perhaps only a handful surviving. Of utterly conventional design, they had nothing to distinguish them from those by any number of competing makers, although the quality of fit and finish was, for the time, exemplary. 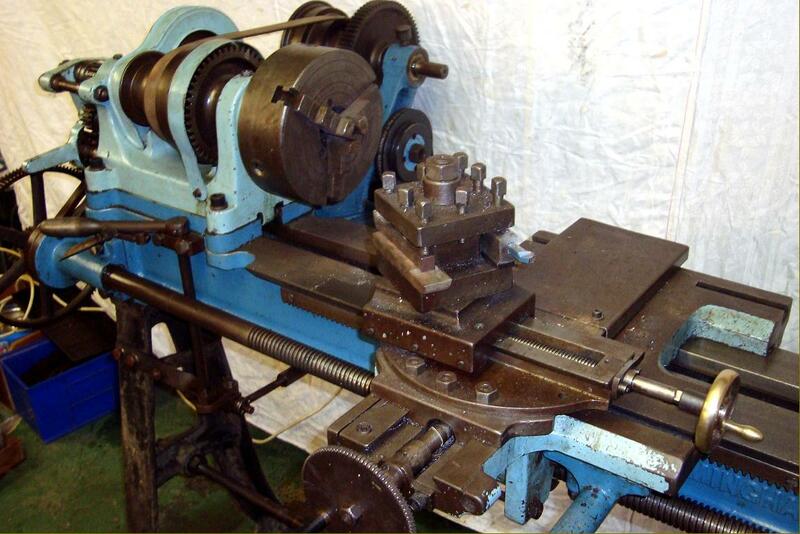 Using a typically English flat-topped bed with 60-degree edges, an outboard thrust bearing for the spindle and a large crank handle (with a quick-action, direct drive to a bed-mounted rack) to move the carriage by hand, by the late 1890s they were already becoming old-fashioned in concept and design. 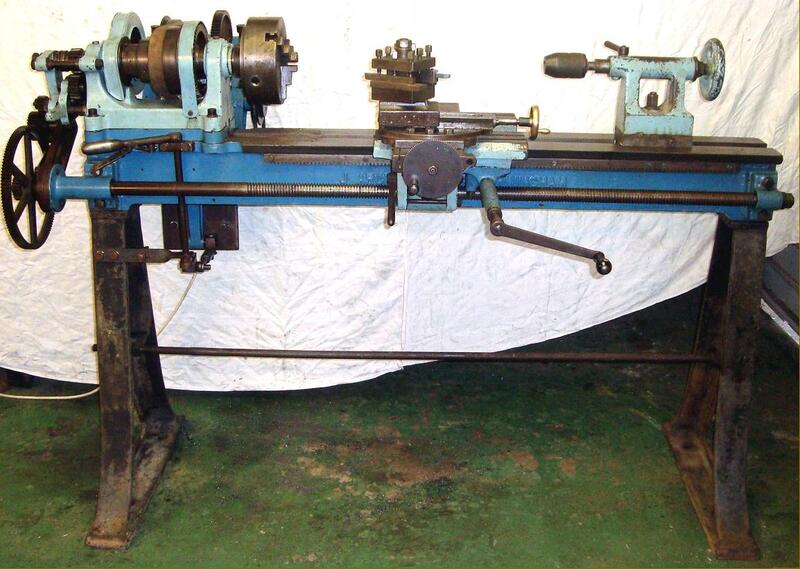 Founded in 1868 by James Archdale, by 1917 the Company was making (or had made) a wide variety of machine tools, including drills, milling machine, shapers and lathes. 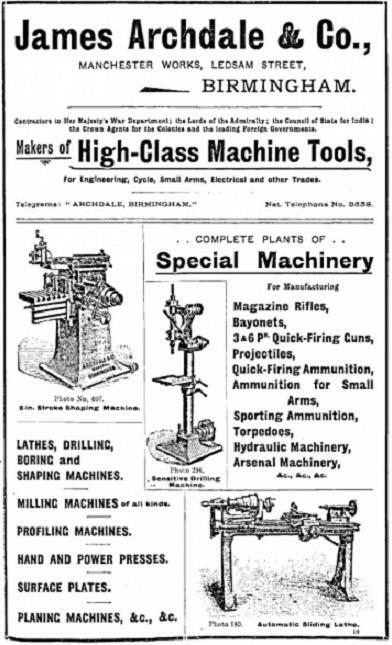 They could also set up manufacturing plants, make one-off machine tools and undertake commissions to develop patents and improvements for other manufactures After that date, and doubtless due to production pressures caused by WW1, they concentrated solely on milling machines and radial-arm and conventional drilling machines. With their head office and "Manchester Works" originally in Ledamb Street, Birmingham, after WW2 a move was made to a new factory in Blackpole, Worcestershire.